America’s Got Talent Is Back With The Best Of The Best And Here Are Our Top 7 Picks! America’s Got Talent is back and it’s going to be an intense ride! Have you ever rooted for your favourite contestant on any of the “Got Talent” franchises, but only to be let down in the end because they didn’t make it through? Or wanting past winners to sustain their crown? Well, here is their time to shine again! America’s Got Talent is back and this time they have invited past contestants to battle it out for the ultimate crown! Sevenpie is here to bring you an update on who you should look out for this season! Here are 7 contestants that are competing on America’s Got Talent The Champions 2019. They blew us away once and now, they’re back, bigger, better and stronger! An American ventriloquist who won the twelfth season of America’s Got Talent. She’s back to fight and maintain her title! Although she lost the votes in episode 2 of this season, she could still be rescued by the judges in the wild card round later in the show! And by the looks of the performance she gave us, she has a very high possibility of that happening! At only 6 years old he has already won the South Africa’s Got Talent and has been named the youngest club DJ in the Guinness Book of World Records. Flew all the way from Spain to perform on the big stage! She stunned the judges with her surprise opera performance. She got standing ovations from the judges and audience and honestly we can see why! A Moldovan entertainer and sword swallower. Alex made it big when he won Russia’s Got Talent in 2014! He participated in more than just one “Got Talent” stage, he is also a finalist on Britain’s Got Talent and Italia’s Got Talent. That’s not all! He was also a semi-finalist on Ukraine’s Got Talent, and a quarter-finalist on America’s Got Talent. Competing on multiple “Got Talent” stages definitely trained him for the “Champion” stage because he came back stronger and better! An epic jump rope crew that performs unbelievable tricks! Could they jump their way to the top? A cute little magician that gave us a live Harry Potter moment. She blew us away at Britain’s Got Talent and came in second. She’s back and is going to wow America with her immense talent! Yes, you heard it right. 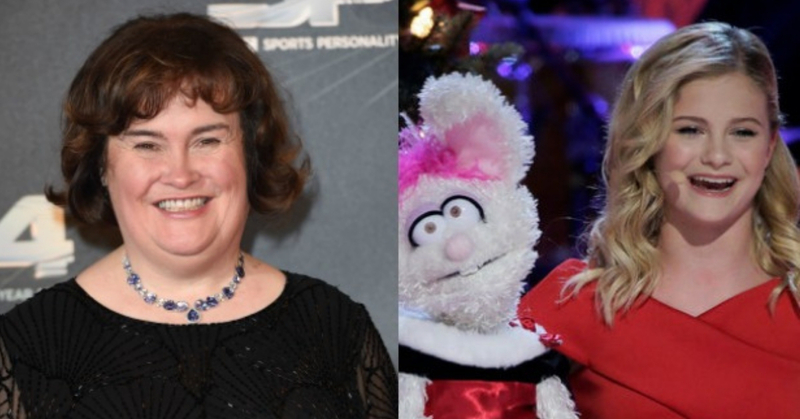 The one and only Susan Boyle who blew literally everyone away when she sings (and yes, we even mean Simon). Her video of her audition made headlines back in 2009, but sadly, it wasn’t enough for her to win. Even after 10 years, she still takes our breath away with her impressive vocal range! Who do you think will take home the crown? Let us know in the comments!